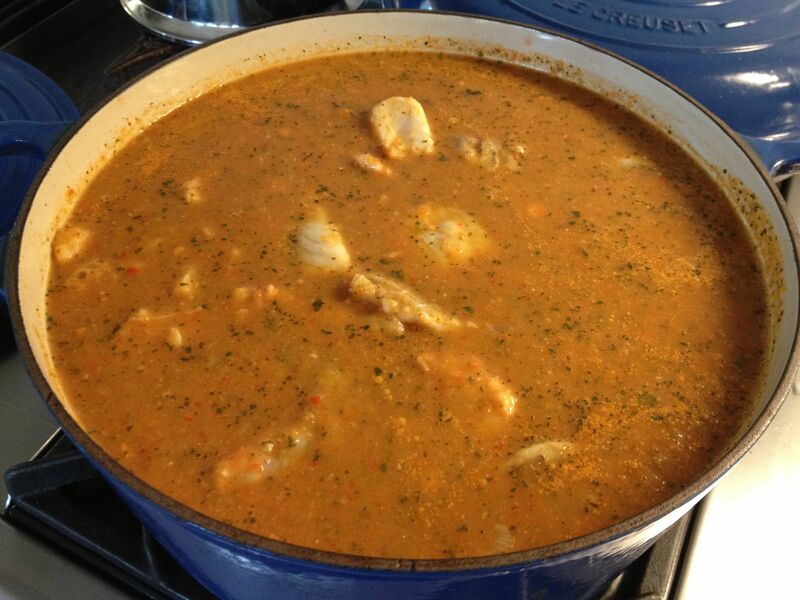 This is delicious – a fish stew flavored with cilantro, lime, red pepper and garlic that tastes very rich but mainly is just vegetables and fish. My friend Beatrice served it at an elegant little dinner party (with bread and salad), but it also works for a very casual evening with hungry friends helping themselves from a big pot on the stove. Beatrice’s recipe is below, and it’s very forgiving. 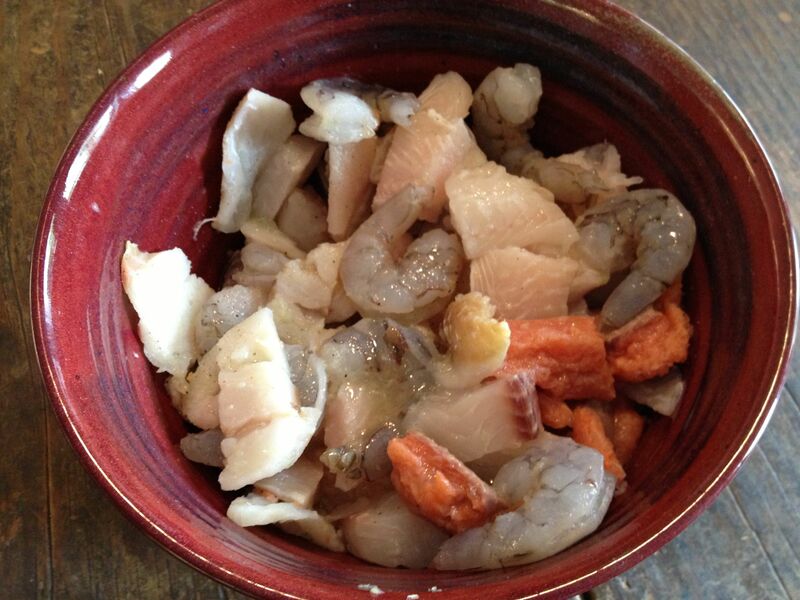 I made it recently with whatever frozen fish I had in the freezer, which turned out to be boneless, skinless Alaska cod, tilapa, salmon, shrimp and something called Striped Pangasious. (God knows why I bought it or what it is but there it was in the freezer.) 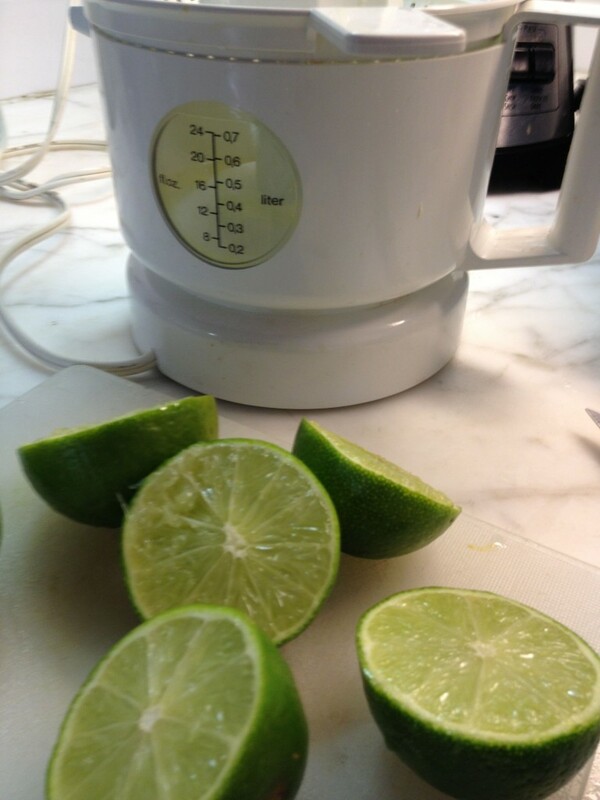 I had almost four pounds of fish and since I love lime I doubled the lime juice. And since Trader Joe’s didn’t have clam juice and I was too busy to go to Von’s, I left that out and doubled both the coconut milk and chicken broth. Heat oil in a large heavy pot over medium heat. Add the onion, bell peppers, green onions, garlic and bay leaf; cook 6 minutes stirring occasionally. Increase heat to medium-high; add tomatoes and cook 2 minutes. Add cilantro, clam juice and broth. Bring to a boil, reduce heat, and simmer 10 minutes. Discard bay leaf. Add coconut milk and red pepper to the pureed vegetables. Bring to a boil over medium-high heat; cook 3 minutes. Add fish mixture (which I drained) cook 3 minutes or until fish is done. Sprinkle with more cilantro. I cooked everything a bit longer than suggested. But as I said this is a very forgiving recipe so fool around with it. It also freezes well. I left out something VERY important in this recipe and thanks to my friend Deborah who brought it to my attention! That broth I mention is 14 oz. of chicken broth! Forgive me if any of you made this and were totally puzzled by the ‘and add broth’ . Maybe this is why I’ve had so many problems cooking.